A Vietnamese mangrove draped with polythene, a whale killed after swallowing waste bags in Thai seas and clouds of underwater trash near Indonesian "paradise" islands - grim images of the plastic crisis that has gripped Asia. About 8 million tons of plastic waste is dumped into the world's oceans every year, the equivalent of one garbage truck of plastic being tipped into the sea every minute of every day. More than half comes from five Asian countries: China, Indonesia, the Philippines, Thailand and Vietnam, according to a 2015 Ocean Conservancy report. 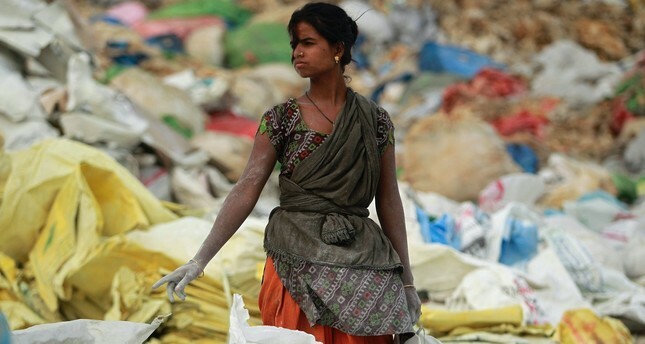 They are among the fastest growing economies in Asia, where much of the world's plastic is produced, consumed and discarded - most of it improperly in countries where waste management is at best patchy. World Environment Day on Tuesday is highlighting the perils of plastic with the tagline "if you can't reuse it, refuse it." But it is not just an issue of aesthetics, plastics are killing marine life. Last week a whale died in southern Thailand with 80 plastic bags in its stomach, an increasingly common sight alongside dead seabirds and turtles gorged on plastic and washed ashore. Experts warn the greatest threat might be invisible. Microplastics - tiny shards that easily soak up toxins after breaking off from larger plastic pieces - have been found in tap water, groundwater and inside fish that millions of people eat across Asia every day. Scientists still do not fully understand the health effects of consuming microplastics. "We're conducting a global experiment with no sense of where we're heading with this whole thing," Carl Gustaf Lundin, head of the global marine and polar program at the International Union for Conservation of Nature, told the Agence France-Presse (AFP). On average only about 40 percent of garbage is properly collected in the five plastic-addled countries that spit out most of the ocean's trash, with few resources dedicated to proper waste management especially in mushrooming megacities. Plus, plastic consumption - and waste - continues to balloon along with growing incomes and dependence on plastic products integral to almost every aspect of daily life. At the current rate of dumping, the total amount of plastic trash in the world's oceans is expected to double to 250 million tons by 2025, according to Ocean Conservancy. That means there could be more plastic than fish in the world's seas by 2050 if the nothing is done to turn the tide. Environmentalists are looking to China to lead by example when it comes to tackling the problem. Last year the world's second-largest economy said it would stop importing the West's recycling, refusing to be "the world's garbage dump." Experts agree that while the problem seems daunting with plastic waste so ubiquitous throughout Asia, it is a crisis with a solution. Social media campaigns calling for bans on plastic and viral videos like the one featuring British diver Rich Horner swimming through clouds of trash off the coast of Bali has helped to spark public awareness. Improved waste collection and reduced consumption have been flagged as crucial next steps. Ocean Conservancy has also called for new plastic materials and product designs and more investment into waste-to-energy and waste-to-fuel schemes. For Lundin, political will is perhaps the biggest hurdle at the moment. "It's not rocket science... there's no place that couldn't fix it if they decided they had to," he said.